In an effort to increase direct, online transactions with the public, the US Treasury Department ended over-the-counter sales of paper savings bonds on January 1, 2012. In a pinch? St. Paul Federal Credit Union offers a Skip-A-Payment program. We've partnered with leading protection program providers to help you and your family stay prepared for life's unexpected setbacks. It's quick and easy to sign up for these additional safeguards during your loan application process and the cost can be rolled into your loan. Transfer your high rate credit card balance to a new St. Paul Federal Platinum Rewards Visa® card and let your payments go to work for you. Buy Smart, Borrow Smart, with a quality used vehicle from Enterprise® Car Sales. 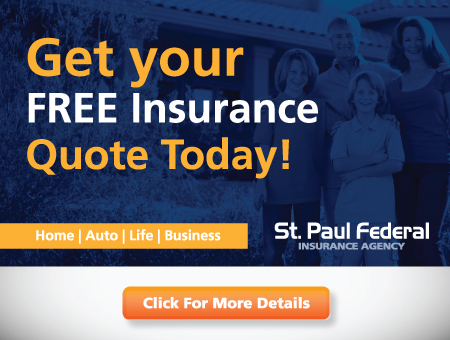 As a member of St. Paul Credit Union, you have access to a personal auto consultant.